BluePack allows live reporter-on-the-street interviews through a phone or tablet using Bluetooth Wireless Technology. Simply pair to your mobile device like any Bluetooth headset. This sleek belt pack provides a professional look and feel to field reporters and remote talent. The professional microphone preamp and powerful headphone amplifier make sure the message gets through. A 3.5 mm stereo line input jack allows recordings to be mixed into the broadcast. The 3.5 mm stereo line output jack provides your full bandwidth microphone signal on the left channel and Bluetooth return audio on the right channel. This allows you to make a full bandwidth backup recording using your favorite recorder. The stereo headphone output gives you a mix of the XLR microphone input, 3.5mm input, and Bluetooth audio. This powerful ½ watt stereo headphone amplifier will cut through any crowd noise. BluePack features HD Voice technology, allowing 7 kHz Wide Band Speech phone calls when used with compatible phones on compatible networks, or when using wide band voice codec apps. 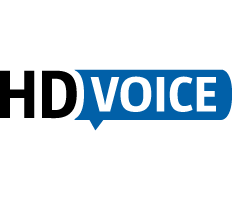 Read our HD Voice primer for more details. BluePack, along with a professional video camera app, lets you transmit or record broadcast worthy interviews while placing the mic in the subject's hand for improved audio quality. 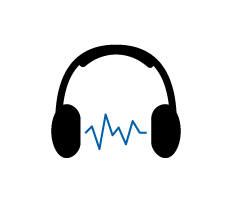 Connect headphones or an IFB earpiece to monitor the mic signal, as well as return from the station or playback of the video. Alternatively, a boom operator can use BluePack to monitor the mic signal as the Bluetooth wireless audio gets transmitted to the phone or tablet.